Bemmea perches on an isolated granite base connected to the mainland at low tide by a long sliver of land. The mages of Bemmea don’t reveal when the tide changes, since their mastery of the elements is complete and entry into the city by land controlled by their whims. By the standards of most Midgard cities, Bemmea is tiny in circumference but towers from ancient foundations to rise to nearimpossible heights. The peninsula is all that remains of a much larger ancient city smashed by the Isonade hundreds of years ago. Winding streets reach ever upward, hosting all manner of fraternal houses, academies, dormitories, institutes of private tutelage, lodges, and laboratories. The remains of towers still protrude from the waves, making for an unsuitable harbor but still used by several mage colleges, accessible either by bridges or magic. Bemmea hosts a cloistered community of eldritch masters, hopeful apprentices, and those who serve them. Visitors are discouraged, and many natives actively disdain nonspellcasters. Colleges of magic such as the Academies Arcana or the Librarium Caelmarath are offlimits to anyone not a teacher, visiting lecturer, or student. Knowledge and secrets are the primary currencies, and the citizens guard both well. Travelers are surprised by the lack of a militia or town guard, only to discover to their horror that the city doesn’t need them. Water elementals emerge from pools, fountains, and gutters, while cobblestone elementals rumble up from the streets to subdue criminals. Visitors remark that “every torch is watching,” and it might not be far from the truth. Apart from such disturbances, Bemmea is not overtly fantastic at first glance. Soaring bridges connecting high spires-within-spires are incredible architecture rather than magical constructs. Even the city’s mighty hesitate to obviously display power, though the occasional animated carriage, flying carpet, or plodding shield guardian helps mages make their way through the city. The characteristic ozone scent of Allain is noticeably stronger here, and it stings the nostrils of those unused to it. Only from high above do the intricately curved, glyph-shaped streets, the anchors for the city’s powerful ley lines, becomes clear. Commerce in Bemmea primarily supports the competing academies, their staff, and students. Though rumors of vast markets of magical goods are unfounded, magic can be acquired cheaply when one knows where to look. Most bargains consist of apprentice magic, class projects, and poorly graded graduate experiments. Rumors persist of dark markets deep in the flooded bowels of the city, where buyers can procure experimental cast-offs, stolen magic, and mostly functioning golems. No one is sure how these goods escape the prying eyes of divining authorities to reach the markets, but buyers must take care both in their acquisitions and in revealing their purchases. Though not encouraged, travelers can find several reasonable options for rooms and hospitality. Popular taverns include the Elves-in-Irons and the Skull Bowl, and safe lodging can be found at the Great Old Oven as well as the Mortar ‘n’ Pestle. Outsiders should choose their bed and board carefully, lest they attract the wrong kind of attention or find themselves caught in a bitter fraternity feud. Bemmea houses dozens of arcane academies, from the sprawling campus of the council-run Academies Arcana to small, private classrooms and single-student tutors like those of Blackspike or Hightower. Most students begin academic life between ages 12 and 14, and they can apprentice for up to a decade. During the first lean and unsatisfying years, students perform meaningless chores that might or might not profit them in later arcane study, depending as much on the apprentice’s mindset as the instructor. Promising or particularly bright students quickly rise above such endeavors and soon move to private studies to discover their talents and inclinations. Students commonly transfer from tutor to tutor to find acceptance or a mentor in their specialty. Student life varies but is mostly a tedious academic affair with long periods in quiet libraries among musty tomes only rarely punctuated by hands-on application. Due to the power of Bemmea’s ley lines, student spellcasting is strictly monitored by master mages and their assistants. Public displays of power are discouraged, and rivalries among students require the utmost discretion. The Ninemage Council would rather see a promising child dead than expelled with incomplete and dangerous knowledge. There are exceptions to these dry and quiet rules. Jacen the Paper Master, for example, lectures his students on busy street corners, mystifying onlookers with his control of lifelike paper constructs. Many students stay in Bemmea to become master mages, researchers, or artificers. Facilities such as the Planteria Observatorium, a huge indoor orrery that tracks the shifting constellations, or the Invisible Halls, the academy of glamours accessible only by those granted charms by the dean, attract life-long students who seek to hone their craft in a familiar environment. The Librarium Caelmarath always needs more magical scribes and translators in the endless effort to organize its vast holdings. Residents enjoy a busy social season, with exclusive lodges, fraternities, secret societies, and other distractions. 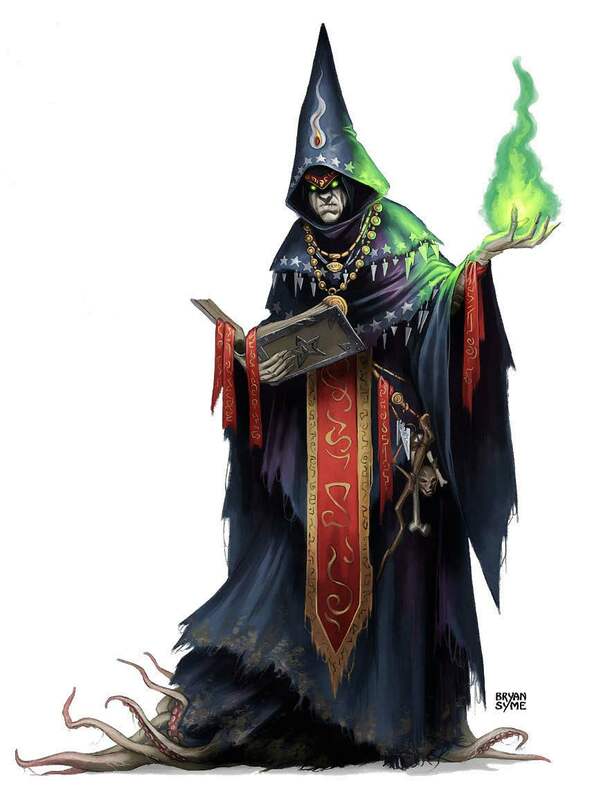 Such organizations include the mysterious Obscured, the Guild of Honest Inkers and Sanctioned Sigilists, the Sons of Vael Turog, the Church Arcane and Universal, and the pranksters of the Affiliation of Unaffiliated Wizards.